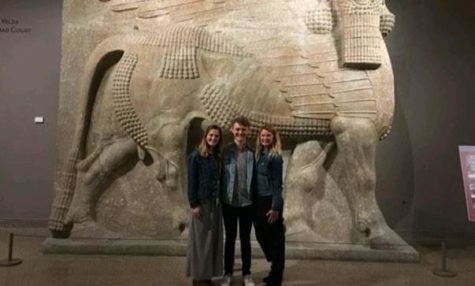 STANDING WITH A LAMASSU STATUE: Seniors Rachel Jeske and Harry Stagaman are pictured with fine arts teacher Amy Bernard on the APAH field trip to The Oriental Institute of The University of Chicago. Every day during 4th period, fine arts teacher Amy Bernard packs up her materials and heads upstairs for her only class taught outside the first-floor ceramics room. Currently borrowing an English room for the tight-knit class of eighteen, AP Art History (APAH) is a refreshing change in Bernard’s teaching schedule. On any given day in APAH, the students can be found having all-class discussions about the abstract meanings behind different artwork, listening to Bernard teach them the history of a piece, playing a Kahoot or Quizlet, or even visiting an art museum. One thing senior Lucy Quinn appreciates about APAH is the unique perspective and knowledge that Bernard brings to teaching the class. “It’s nice having someone as a teacher who also teaches art classes and not just art history, so we get both the side of learning from an artist as well as someone who knows their history,” Quinn said. Bernard calls herself the “momma of APAH at DGN,” as the one who worked on the course proposal with the Board of Education and the school to have the class approved. 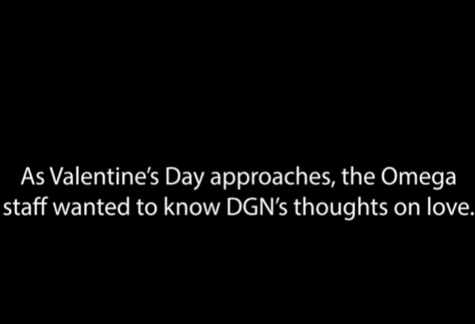 APAH finally began being offered at DGN in 2013. 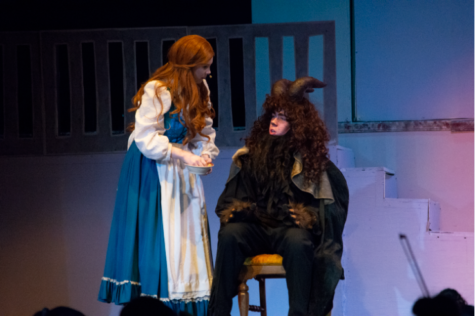 Her passion for art is what fueled her efforts to create the class, wanting a way to share both art and history with students in a way that differs from traditional fine arts classes. Bernard didn’t decide she wanted to become a teacher until her junior year of college when one of her ceramics professors pushed her in the direction of art education. She graduated with a bachelor’s degree in fine arts and went back to school for another year to get her teaching degree. The additional school was a no-brainer, according to Bernard. She loves being able to specialize in art education because of how fun and expressive it allows students to be. “My students are my favorite people to share it [art] with. I like to show them that they can create beautiful things that they can be proud of,” Bernard said. When asked about the differences in teaching APAH versus her ceramics classes, Bernard noted the extra work required in planning lessons each day. 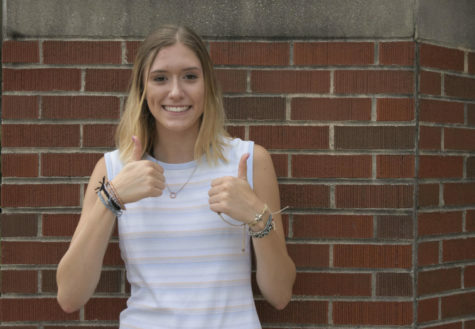 DGN alumna Emma Segrest, who took the class as a junior, says that APAH helped her land a summer internship at the Art Institute of Chicago and she is now considering an art history minor in college. Segrest appreciated the environment Bernard created, which strays from the traditional classroom lecture-style and allows students to interact more with their classmates. “The class was very relaxed, we would walk in and be able to breathe and take a small break from the day and learn about something everyone was really interested in. It was very hands-on and easy to understand the materials. You never felt stressed or worried,” Segrest said. Bernard has a lot planned for the year ahead. Most recently, APAH students participated in a field trip to the Oriental Institute Museum of Chicago and will be visiting the Art Institute later this year. Units that the class will continue to explore include architecture, Greek sculpture, renaissance art, modern art movements, and more. When asked if she believes APAH will continue as a class at DGN in upcoming years and gain more interest in the future, Bernard was optimistic.